THE A4 Locomotive Society has taken delivery of the re-tyred wheelsets for No. 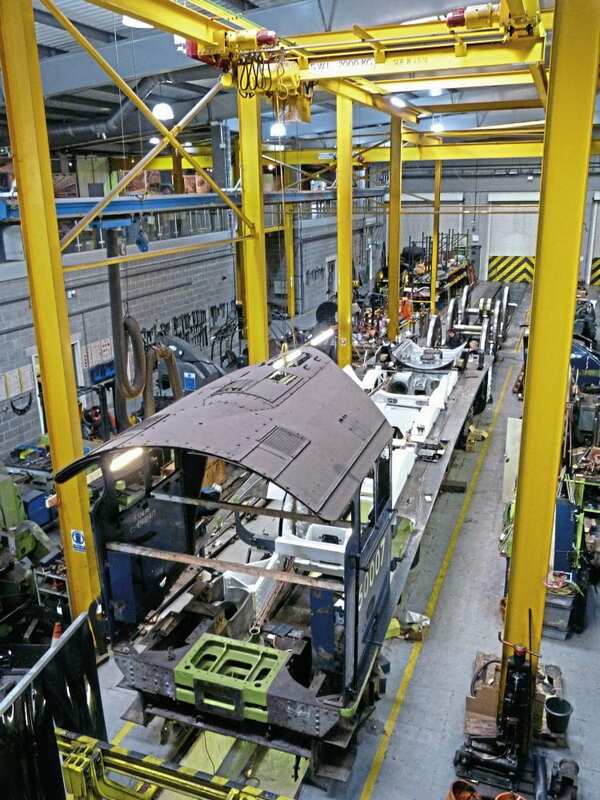 60007 Sir Nigel Gresley at its overhaul base within the National Railway Museum. The wheelsets reached York at the end of September, and since entering the works have had the tyre edges, balance weights and axle ends painted with primer. The overhaul team is now trialling the use of filler on some of the spokes on one of the coupled wheels. The hope is the smoother surface will aid the process of keeping the ‘A4’ clean, as well as provide a superior finish. Work has also been concentrating on the lubrication connections to the bogie, while an engineering team from the North Yorkshire Moors Railway has been on site to measure the axle journals of the bogie and coupled wheels. This will help determine the finished dimensions of the axleboxes. Additionally, the brake cylinders are currently being reassembled, one of which is now complete. A test of the piston under gravity showed that it moves satisfactorily. Finally, over at the Llangollen Railway the new firebox side sheets are now be fully stayed, with the next step being to turn the boiler onto its side so the combustion chamber copper welding can be continued up the sides and eventually across the roof plate.